I have been reading Henry Miller’s Remember to Remember (1947), his sequel to The Air-Conditioned Nightmare (1945). Miller has always been interesting to me, even when he descends into rant, as he not infrequently does. Where the earlier book talked about places, the sequel deals mostly with people. Two painters appearing in that book are Abe Rattner (1896-1978) and Beauford Delaney (1901-1979). As you may know, I reject the tendency of much of 20th century painting, whether here or in Europe, to go in for abstract expressionism. That might well be of interest to interior decorators, but the result of that tendency is a body of work that, of itself, strikes me as empty. Colorful, perhaps, but not so much as inviting a second glance. Art has to represent something other than mere color and form. The literary equivalent might be a selection of adverbs or prepositions without any human context. In “A Bodhisattva Artist,” Henry Miller expresses his unbounded admiration for Rattner as a person and for his work. such as the above illustrated “Darkness Fell Over the Land,” referring to the aftermath of the crucifixion. 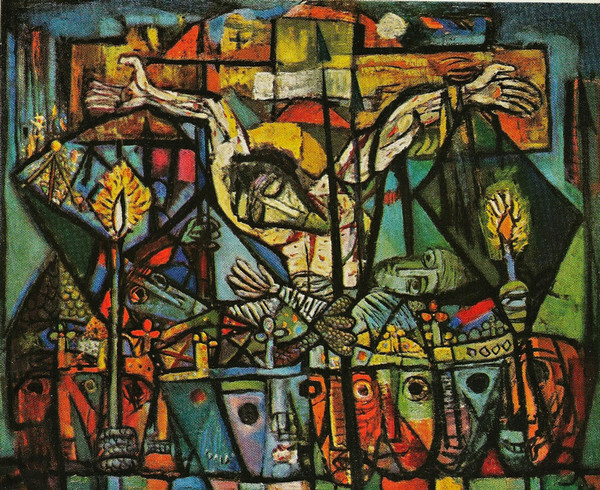 Rattner is an artist of the sacred, somewhat like Georges Rouault, but with both a Christian and a Jewish perspective. Beauford Delaney is an African-American artist who was born in Knoxville, Tennessee and died in Paris, France. 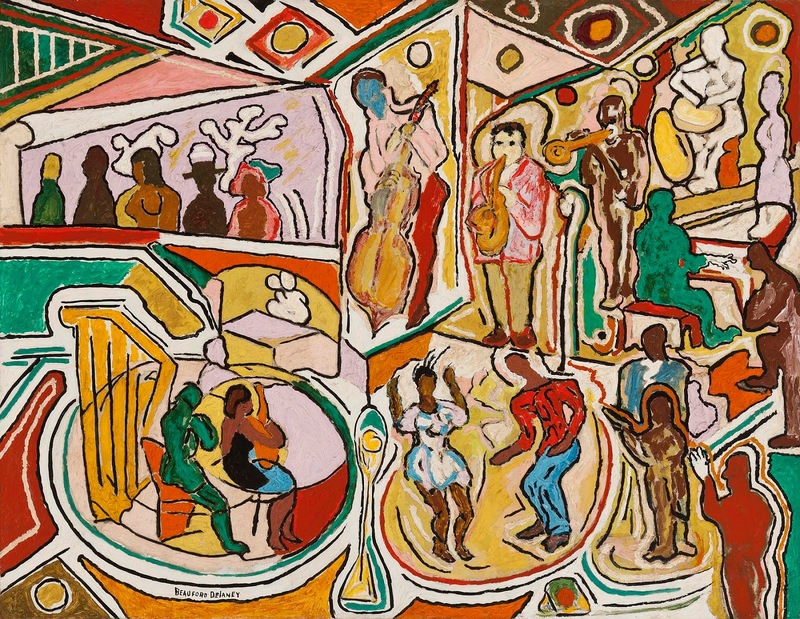 Miller got to know him in New York, and wrote an essay about the painter and his work in “The Amazing and Invariable Beauford DeLaney.” He is considered to be a representative artist of the Harlem Renaissance, though when he moved to France, he converted (alas) to abstract expressionism. I am always interested in finding outliers to the predominant currents of art. Henry Miller, being no mean painter himself, did at times exhibit exquisite tastes.